Our range of fluoropolymer coating services, including PTFE, provide exceptional properties for applications requiring minimal friction (non-stick), corrosion protection, chemical resistance and high temperature tolerance. Correct preparation of the substrate surface is integral for fluoropolymer coatings to work effectively. This is why all applications coated by Surface Technology are subject to a meticulous pre-treatment and curing process that exceeds the performance of standard treatment processes. Resulting in a cost effective, high quality finish that lasts longer. 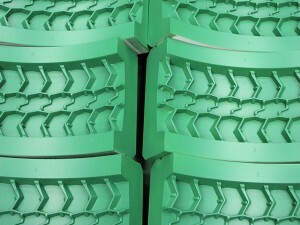 Our technical team will work with you to choose the optimum fluoropolymer coating and method for your application. PTFE is widely used as a non-stick coating. Resistant up to 260°C, PTFE has a low friction co-efficient, is virtually chemically inert, corrosion resistant and provides excellent lubricity. Leading food and beverage manufacturers, precision engineers and manufacturers across a wide range of industries trust our PTFE coating service. We apply a variety of composite fluoropolymer coatings for surface release: minimising unwanted adhesion of products to production machinery, reducing cleaning time; product wastage; contamination of product, and damage to machinery. We provide sophisticated single and multipart fluoropolymer coatings which resist the attack of aggressive media and environments. Our coatings minimise the use of liquid lubricants and the wear that naturally results from two surfaces moving in contact; reducing heat generation, running costs, maintenance costs, machine downtime and operational limitations. Where additional wear resistance is required an Armourcote® reinforced coating system is recommended. Click here to read our blog item and discover the benefits of fluoropolymer coatings versus release agents.